Versalift is pleased to promote its demo sales program for high reach aerial lifts. Following recent company-wide facilities improvements, Versalift is promoting its inventory of high-reach aerial units for immediate delivery. Ranging from 130 – 235 feet in working height, these high-reach demonstration units are located throughout Texas. Available inventory features PHX, CTA, SKY and Ruthmann high reach aerial lifts. In a newly developed section of versalift.com, we’ve taken the opportunity to list all of the specifications for each lift, chassis and body of every available high-reach unit. Included with every demo unit is a price and full set of specs. Several features create excellent value in this group of high reach aerial lifts, including industry-leading side reach and high-quality on-board diagnostic equipment. Our high reach units can be broken down into two types: Lifts for Electric Power Transmission and non-Insulated Lifts for Wind & other Non-Energy Applications. Investor Owned Utilities around the United States maintain fleets of Insulated high-reach aerial lifts in order to maintain high voltage electric power transmission infrastructure. Non-insulated lifts are used for high-reach tasks that don’t involve exposure to electric current. One of the more common applications for non-insulated high-reach units is wind turbine blade maintenance. Other high-reach applications for non-insulated high-reach aerial lifts include bridge inspection, cell tower construction and refinery maintenance. Please explore Versalift’s high-reach demo sales program. Contact us directly for more information. 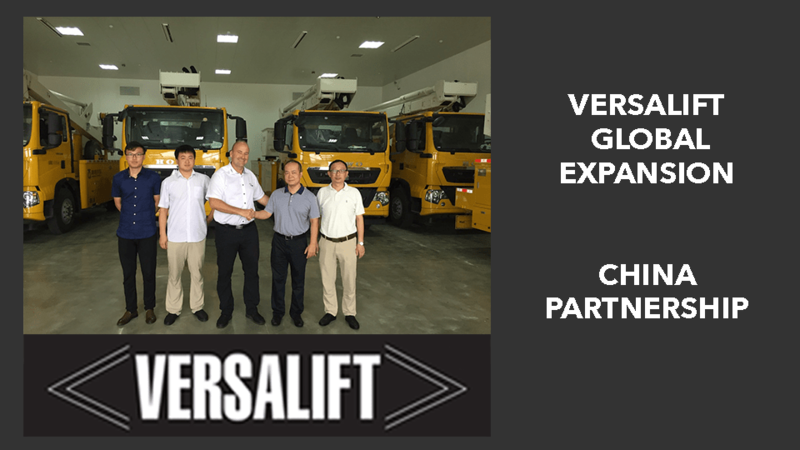 Versalift is a leading manufacturer of bucket trucks, digger derricks, cable placers and high reach aerial lifts for power generation, transmission and distribution, telecommunication, sign, light, and traffic, and tree care industries. Keep informed on new products, events, and special deals by joining our mailing list. All information is kept confidential. You agree that Versalift, a Time Manufacturing Company may collect, use and disclose your personal data which you have provided in this form, for providing information that you have agreed to receive, in accordance with our data protection policy here.